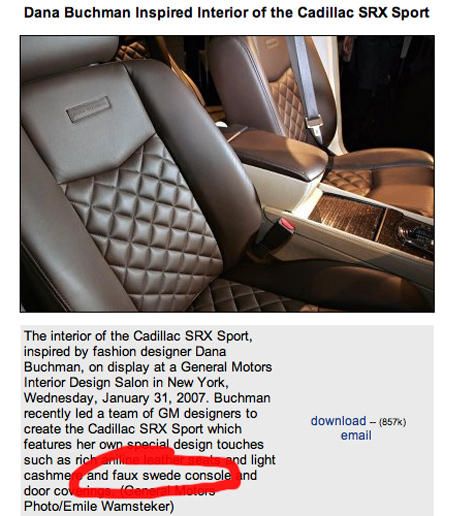 After seeing this picture and description on the GM Media Site today, I'm left to wonder — are General Motors and Dana Buchman using the hide of Elin Nordegren or Stefan Erikkson on the console of Buchman's special edition Caddy SRX? LA Auto Show Preview: Tiger Woods...Err...The Buick Enclave Is Finally Here! Huzzah! Huzzah!